In this section, no matter you order your bobbleheads in suit with tie or casual dress, in costume suit or sport jersey,stand up or squat down, hands in pocket or open arms, just the way you can image, you can get a big dicount offered by Bobbleheadsme.com. 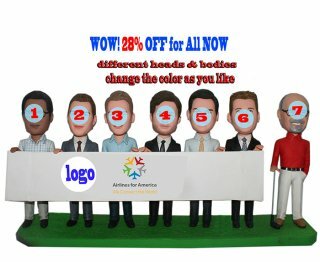 If you are seeking a unique gift for your beloved executive or your work team, this customized bobblehead dolls depicts 6 officeman holding company board and their executive stand aside with a golf club will be your best choice. 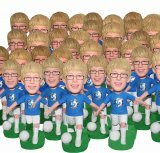 it also can be a gift for your boss retirement ceremony. Just upload photos to us, our skilled artist will do their best.